Fortune The Shopping Island is a Project By Soku Developers Pvt. Ltd. and the First A.C. 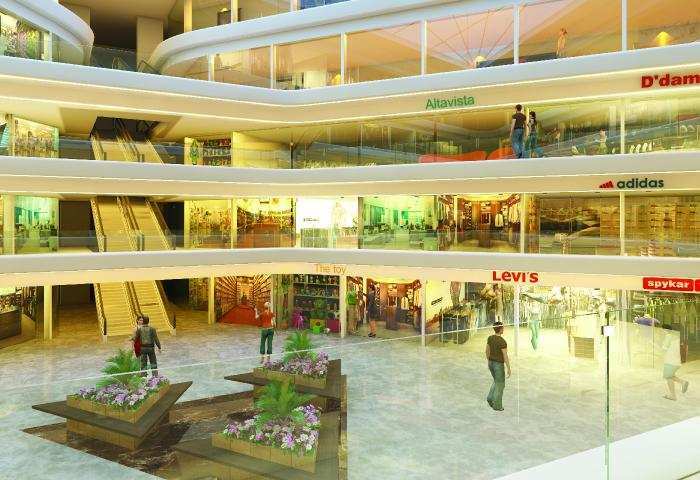 Mall with Revolving Restaurant, Banquet Hall, Food Court & Multiplex of Surat Just one K.M. away from new Cable Stayed Bridge adjoining Adajan-Pal with Parle Point. 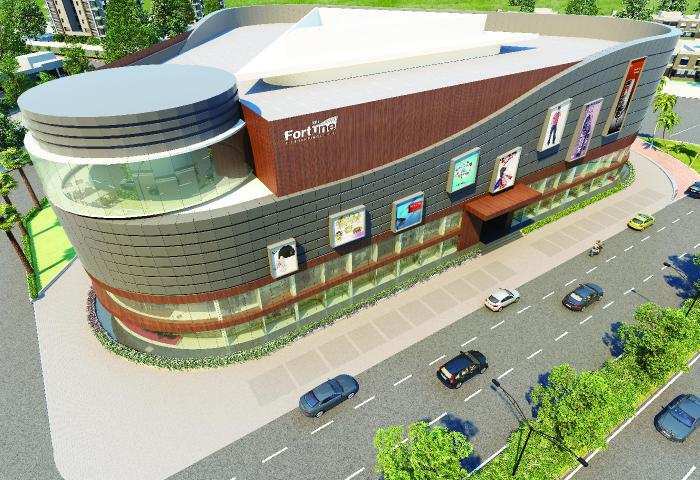 Fortune The Shopping Island has an excellent location and good connectivity with Surat Airport, Bus and Railway Station. Fortune The Shopping Island is well located on the prosperous T.P. Pal which is one of the fastest growing vicinity for Commercial & Residential area of Surat. The catchments requirement is competitive formal retail environment with world class amenities for national and international brands. To revolutionize traditional buying behaviour. Today Fortune The Shopping Island is proud to present ONE destination where the families of Surat can relax and rejuvenate with each other. Fortune The Shopping Island is also showcasing Indian and International brands like Wills Lifestyle, Guess, Puma, Nike, Biba, Timex, Lilliput and lot more. It is this names that make Fortune The shopping Island a key destination not only for consumers but for brands too. Buy only because something excites you, Not just for the simple act of shopping. - Hyper market of 200,000 sqft. Your shopping experience is incomplete without a great place to treat your taste buds. Fortune The shopping island takes your dining experience to a whole new level while serving you with a wide range of cuisines, be it Indian, Chinese, Continental, Italian or more. With over many outlets varying from fine dining restaurants to a plush food court, your dining experience turns out to be even more delightful. Fortune The Shopping Island prides itself in having revolving restaurant with classy ambience. First Revolving Restaurent in Adajan-Pal is one of big pleasure of Surati People. The restaurant on a height of the top most floor with its classy ambiance and traditional lip smacking varieties of food will be a memorable experience to the visitors. The evening twilight of the city with its slow moving traffic is a pleasant sight to have a memorable experience. A Banquet and party hall is an ideal place to host events. It's unique decor lends it a flexibility that makes it suitable for holding family functions and parties as well as meetings and conferences for business firms. Fortune The Shopping Island is an unmatched venue for those who want to celebrate majestically. This beyond ordinary banquet hall offers a facility on the top floor which is perfect for large functions. Take A Break ! One would get to taste a multi-cuisine food spread over an ambiance of fun filled Entertainment. Come give your tastebuds a gourmet experience. At select Fortune The Shopping Island every experience is memorable! A Food Lovers Paradise, Select Fortune The Shopping Island for some of the city's best destination Cafes, Trendy Bistros, Authentic Cuisine Restaurants, Fast Food joints all under one roof . We committed to make your experience a special one, Fortune Shopping Island is also home to the food court. Spread over an area of 12,500 sq. ft., you can find everything from Dosas, Juice, Chinese Food, Traditional Indian Chaat to Sumptuous. Fortune Multiplex - It's not what a movie is about , it's how it is about it. Cinema multiplexes are a perfect example of convergence of retail and entertainment across the mall and high-street organised shopping formats. Multiplexes are now proving themselves to be an integral part of a successful shopping mall. The young Indian consumer is no longer satisfied by purely spending on basic products and services. They want to spend more on lifestyle products and quality services, which would satisfy their self-esteem, social and self-actualisation needs. Leisure needs are currently manifesting themselves in the desire for a shopping experience, watching movies in multiplexes, eating out, travel etc. 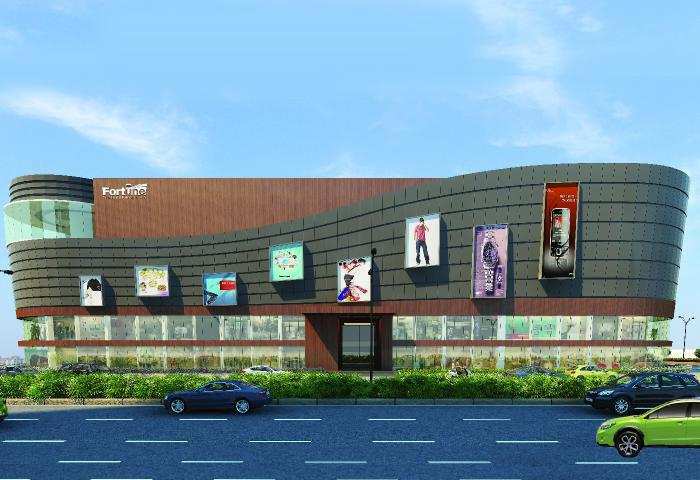 Fortune Multiplex is the ultimate multiplex that the city of diamonds can proudly boast of. It is situated in the posh suburban locality of the city. Beautiful ambiance and excellent services have made Fortune Multiplex the movie goers preferred destination.